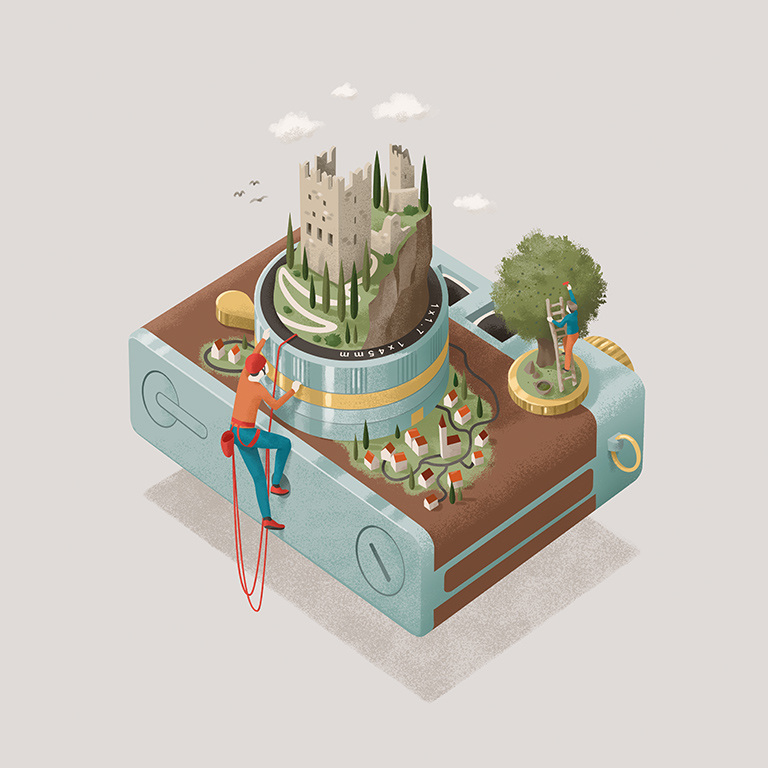 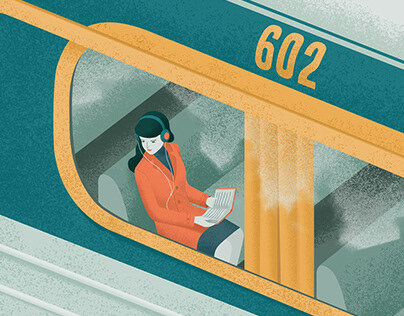 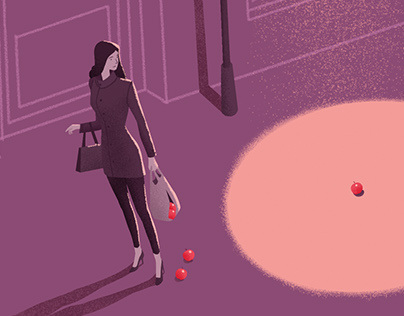 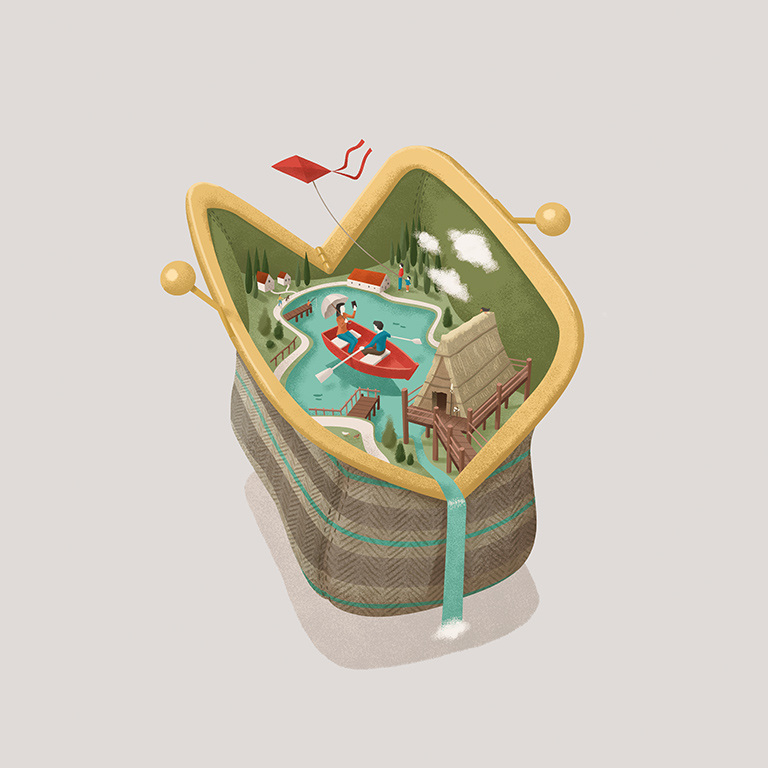 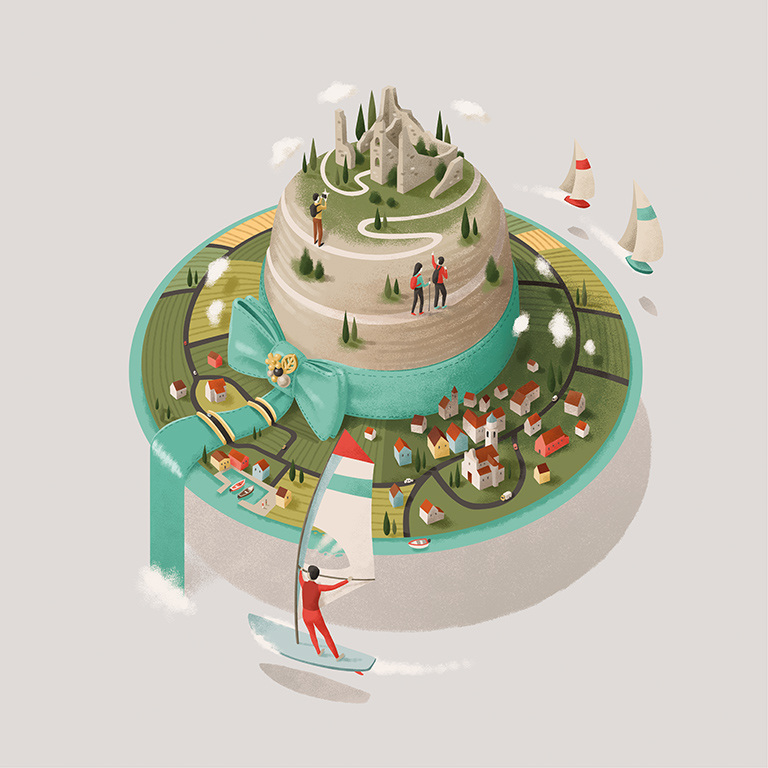 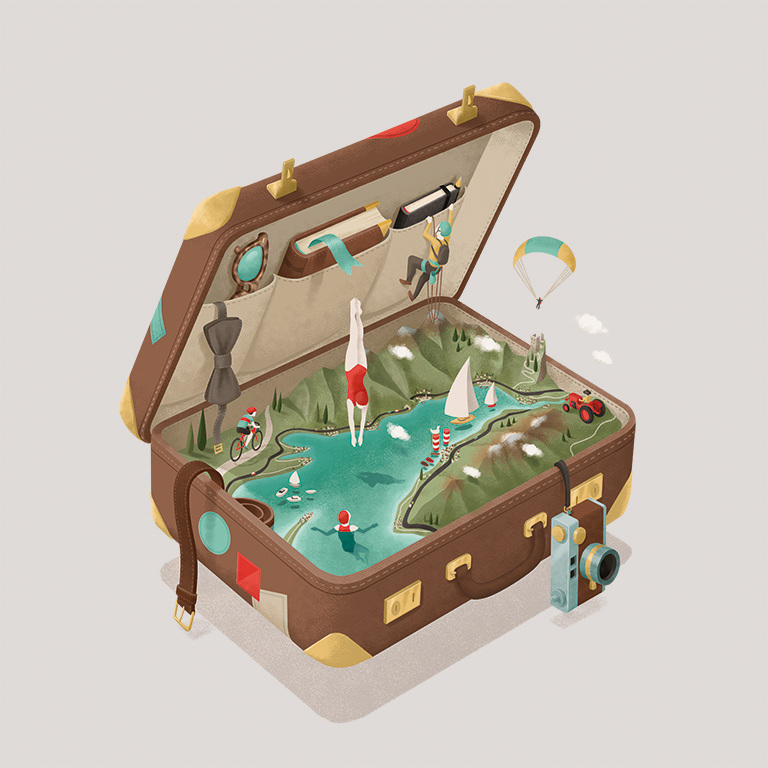 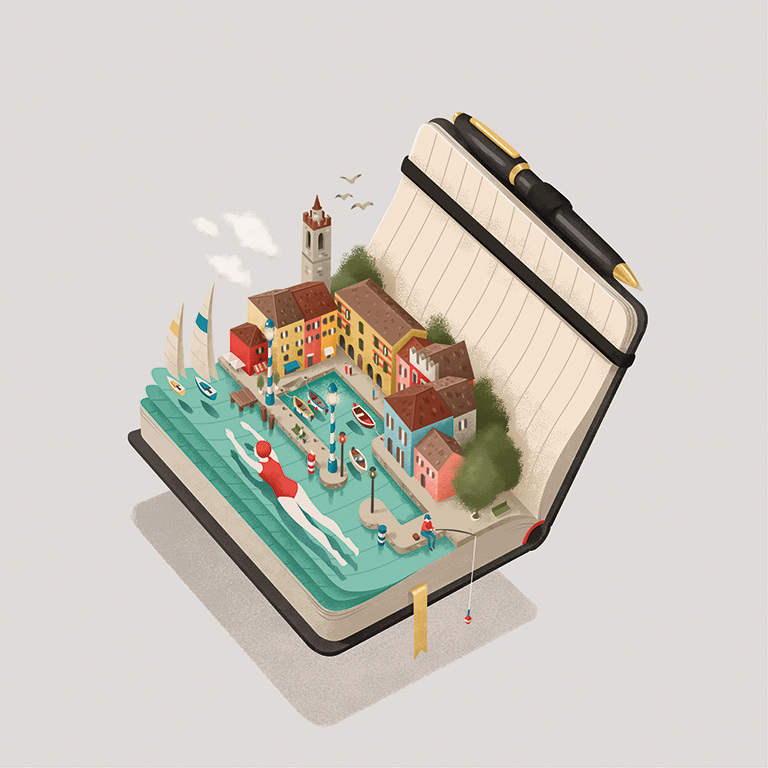 Illustrated calendar with 13 illustrations focused on the most wonderful locations based in northern Garda Lake, I have been inspired by an imaginary travel, every object represents a nice village near the famous Italian Lake that I represented as a suitcase that contains all the objects. 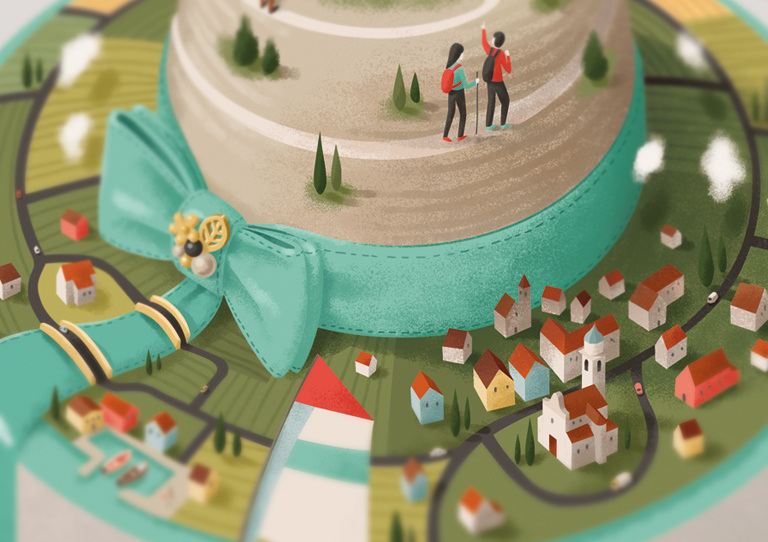 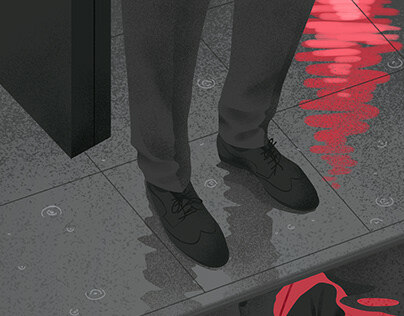 Many details were been realized focusing on the typical aspects of these places. 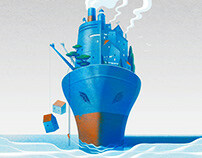 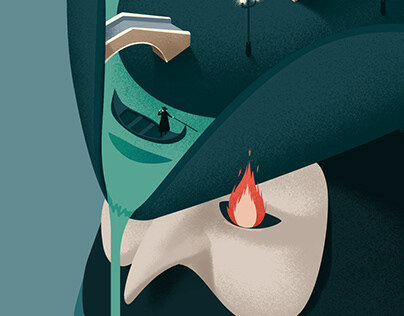 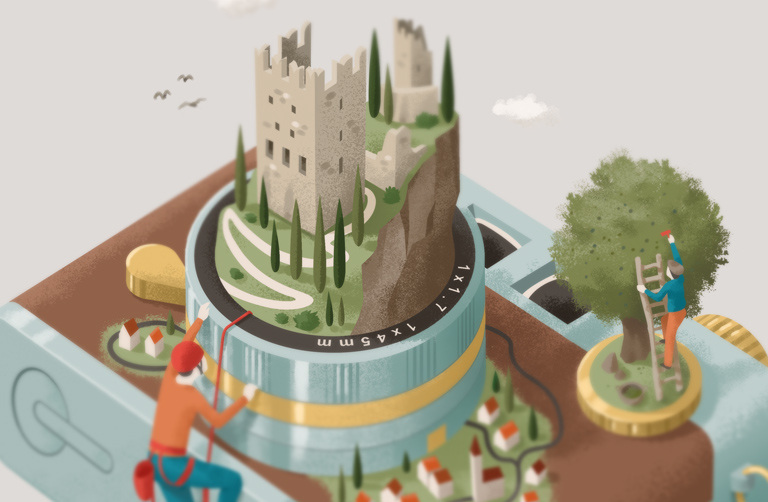 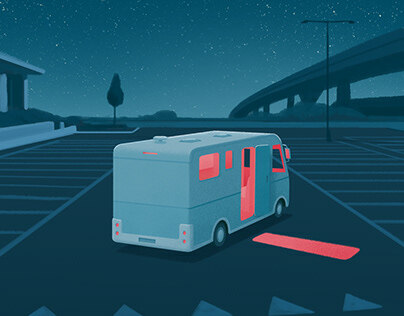 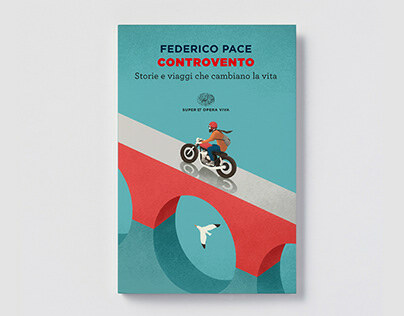 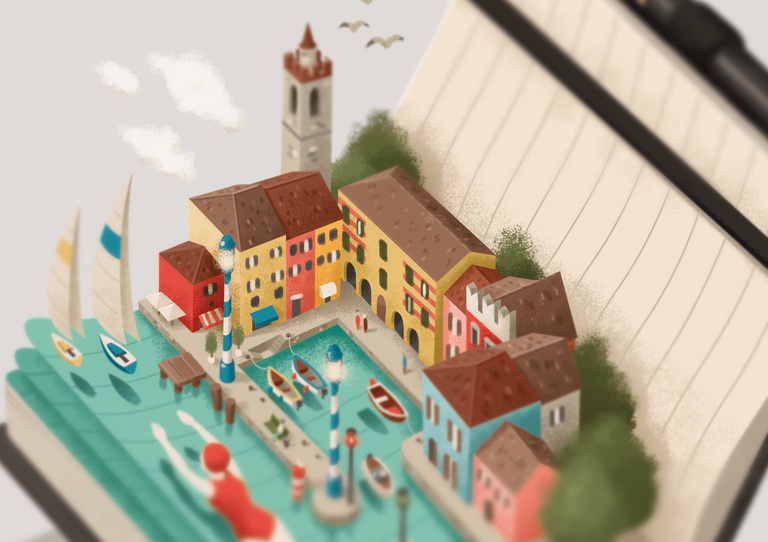 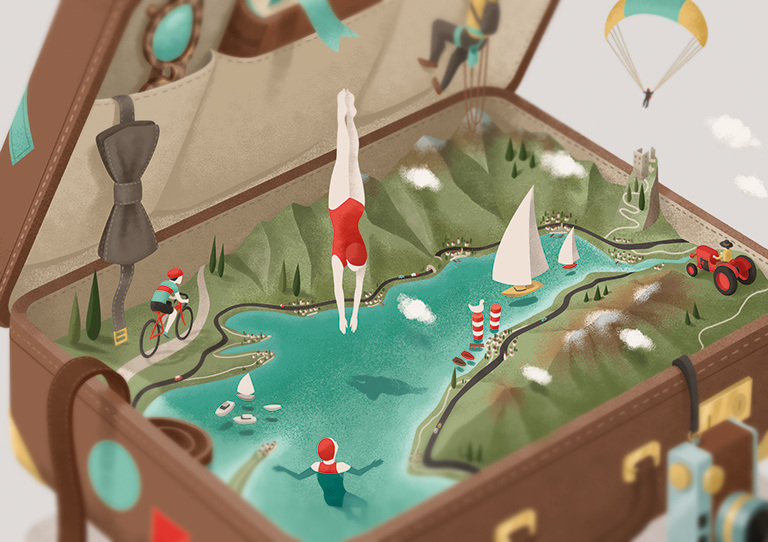 Illustrated calendar focused on the most wonderful locations in northern Garda lake.